Arts of the Albemarle is located in a stunningly restored brick building, the historical Lowry-Chesson Building, which was originally a popular department store and a heart of local commerce in Elizabeth City. Built in 1895, the building was completely revitalized thanks to a $4 million dollar renovation that was made possible via a community preservation campaign. 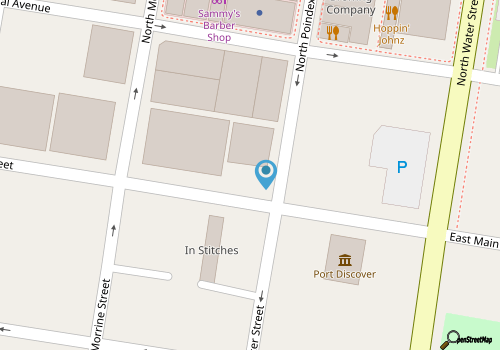 The center is located along a waterfront street in the heart of the downtown area, specifically East Main Street, and is bordered by small shops, businesses, and governmental buildings. 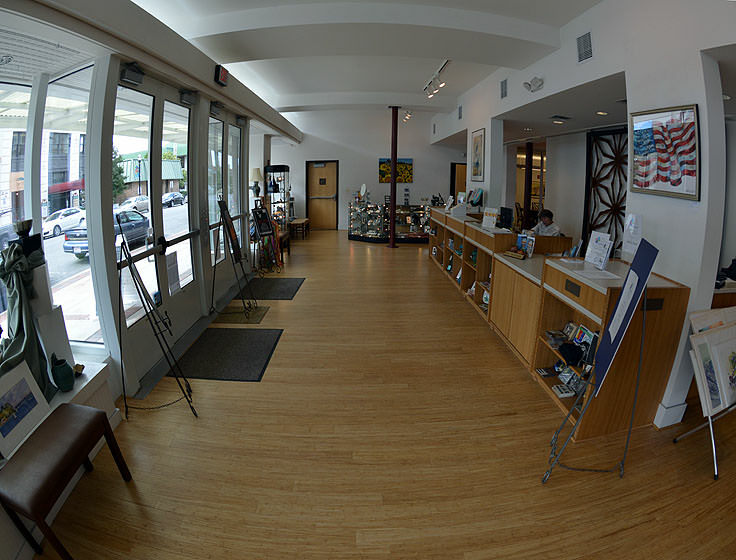 Inside the expansive building, the Arts of the Albemarle is divided into three distinct but art-centered categories. 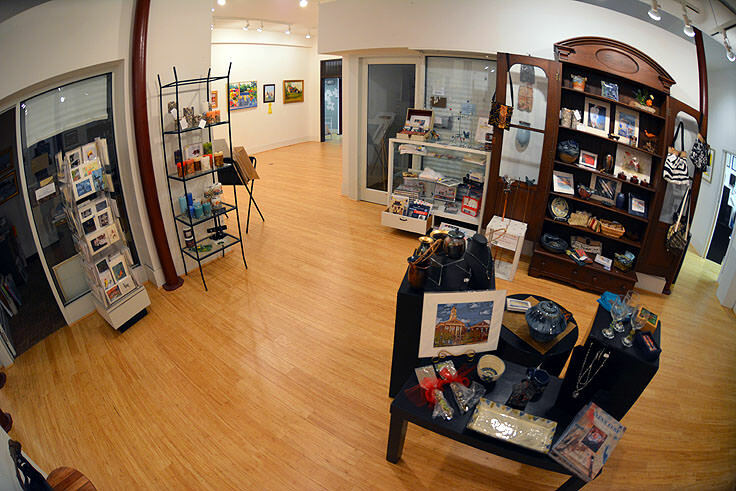 The Jaquelin Jenkins Gallery and the 516 Gallery are home to a world of local, national, and even international artists, and showcases works in a wide variety of mediums. Watercolors, oils, abstracts, sculpture, photography, and mixed media pieces are all represented, and the gallery regularly features both solo and shared exhibits every month or so, with opening receptions generally held on the first Friday of every month. Recent featured artists include painter Margie Sawyer, photographer Fredrick Tate, and sculptor Gene Mosely, and interested gallery patrons can view a complete list of upcoming featured artists online at http://www.artsaoa.com/index.php?option=com_content&view=article&id=6&Itemid=16. The Arts of the Albemarle Center also hosts a wide range of workshops and classes, including freestyle painting workshops, and special "Wine and Paint" events. More information on upcoming classes can be found online at http://www.artsaoa.com/index.php?option=com_content&view=article&id=8&Itemid=18, and interested attendees will want to reserve their spots in advance, as many of these workshops tend to fill up quickly. 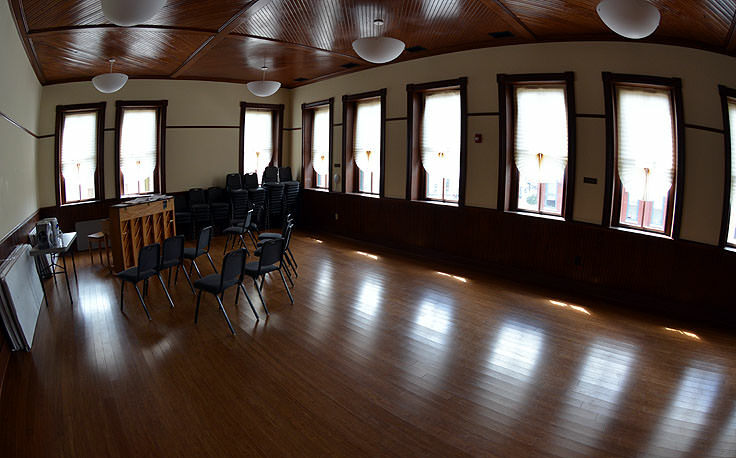 The Maguire Theater is another integral component of the Arts of the Albemarle Center, and is the setting for a wide variety of music, dance, dramatic and children's performances. 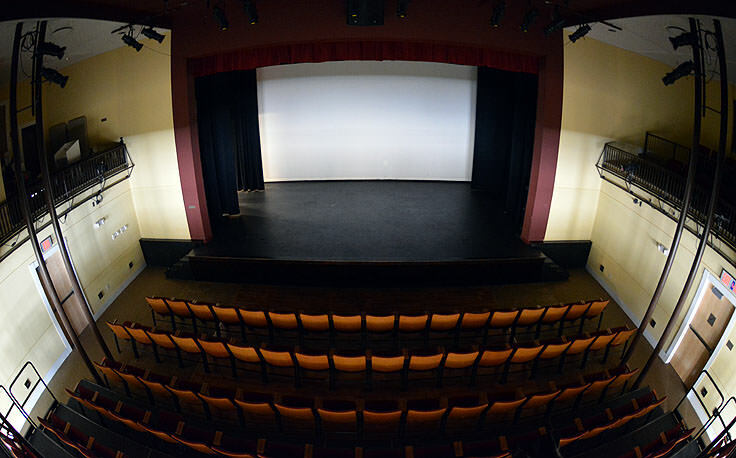 The state-of-the art 250 seat performance space is surprisingly intimate, with both ample lower level and balcony seating, which ensures that every patron has a great view of the action on the stage. Local and visiting bands and musical performers are a regular staple at the theater, and past acts include Jeanne Jolly, Delta Rae, Ricky Braddy, Melva Houston, and The Hunt Family. The theater is also home to the Arts of the Albemarle Center Players, a wonderful performing arts program that provides detailed and in-depth instruction to approximately 40 children ages 8-18 who learn dance, drama and music. The Center Players than take their talents to the stage to perform sold-out shows, displaying everything they have learned in the intensive, but engaging program. Visitors who want a full theater experience, complete with a first class production, will be happy to know that the Arts of the Albemarle partners with the Hurrah Players to stage full dramatic, comedy and musical performances as well. More information on the Virginia based company can be found online at http://www.hurrahplayers.com/, and patrons can find a complete list of upcoming performances, as well as ticket prices and reservation information, online at http://www.artsaoa.com/index.php?option=com_content&view=article&id=43&Itemid=38. Like the center's art classes and workshops, potential patrons are urged to reserve tickets far in advance, as many of the theater's musical and dramatic performance tend to sell out quite quickly. The Arts of the Albemarle's final important role in the community is to serve as an acclaimed School of the Arts. Founded in 1994 by Dr. Leland Chou, the AoA School of the Arts addresses instruction in a wide range of fields, including music, art, dance and theater. Though originally the school imply focused on local chorus and piano lessons, today more than 200 students attend the school for after-school workshops or in-depth and intensive programs. Summer Camps are also available, and are very popular, and accommodate a wide range of creative interests. For more information on areas of instruction, upcoming curses, and scholarships, interested parties can visit the AoA School of the Arts online at http://www.artsaoa.com/index.php?option=com_content&view=article&id=45&Itemid=20. The Center's hours of operation, and any associated fees, vary widely and are dependent on department. The gallery is generally open daily, from around 10:00 a.m. until 5:00 p.m., with extended hours for special receptions or classes, while the theater is generally only open for classes and performances. Potential visitors can also always check out the center's Facebook page at https://www.facebook.com/pages/Arts-of-the-Albemarle/96838793110 for up-to-the-minute details on special performances, gallery showings, and other community events, like the annual Taste of the Albemarle Festival. The Arts of the Albemarle has been instrumental in Elizabeth City's growing reputation as a thriving cultural center in an otherwise small-town community. Featuring arts in virtually all forms, including gallery shows, theatrical performances, and musical events, a day or evening out at the Arts of the Albemarle can cater to a wide range of creative interests, and is sure to be a highlight of any Inner Banks exploration.